We’re open to the public. Come shop one of the Milwaukee area’s largest plant nurseries for flowering ornamental and shade trees, shrubs, conifers, evergreens, perennials, grasses, and more! Most of our stock is grown locally on over 600 acres of farm land in southeastern Wisconsin. 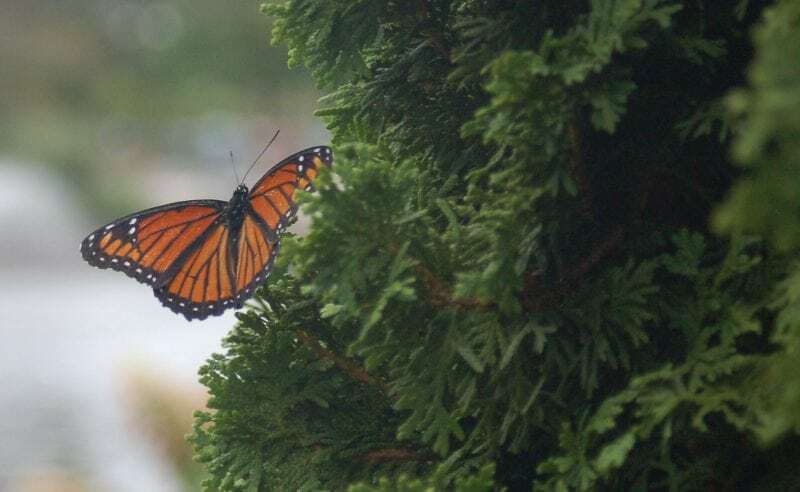 Located about 20 minutes northwest of Milwaukee in Menomonee Falls, Johnson’s Nursery is your expert on Wisconsin hardy and native landscape plants. 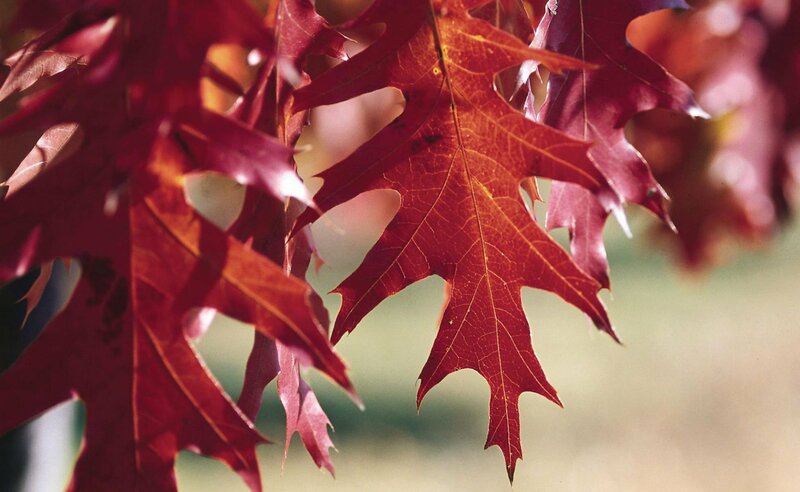 Johnson’s Nursery is your trusted expert on Wisconsin hardy and native landscape plants. We grow quality landscape plants including shade and flowering ornamental trees, shrubs, conifers, broadleaf evergreens, and perennials – locally – on over 600 acres of farm land in southeastern Wisconsin. We appreciate the opportunity to serve and provide you with quality plants and expert plant care information. You will find our nursery in Menomonee Falls, Wisconsin, about 20 minutes northwest of Milwaukee. Shop Johnson’s Nursery for locally grown Wisconsin hardy and native plants. Our goal is to provide you with top quality, locally-grown landscape plants—from new and exciting varieties, to traditional garden favorites. We pride ourselves on providing clients with one of the most extensive and diverse plant inventories in the industry. Search plants and prices in our Public Inventory. We’re here to discuss your plant matters. Retail Sales hours may vary depending on season. If in-between seasons, see Facebook or Google for retail hours. We’re open to the public. If in-between seasons, please use Facebook or Google for retail hours. Fill out the form and select which department(s) you’d like to hear from. 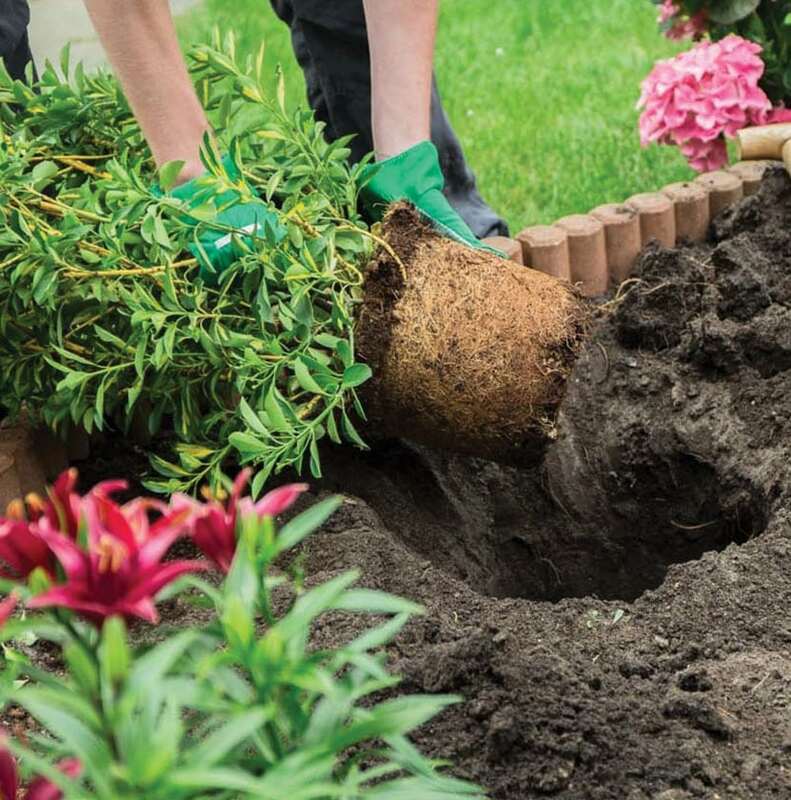 This simple, six step do-it-yourself program is best if you’re a homeowner looking to get your hands dirty, install your own plants, and take control of your yard. We Plan-You Plant offers the helpful assistance of our experts, who will create a professional landscape design–at no cost–when you purchase your plants at Johnson’s Nursery. Plants are living things. Like you and me, plants need nourishment whether it be water or protection from the elements. Stock up on mulch, organic compost, fertilizer, animal and deer repellent, and weed control. Johnson’s Nursery offers six different styles of bark mulch such as premium hemlock mulch. Why Use Natives In Your Landscape? Native plants offer many benefits for the home landscape. Johnson’s Nursery is a leading grower of Wisconsin native plants. Our expert designers can help you choose natives and incorporate them into your home landscape. We’ve produced many articles about native to help guide your way. Take control of your landscape. This simple, six step do-it-yourself program is best if you’re a homeowner looking to get your hands dirty, install your own plants, and take control of your yard. We Plan-You Plant offers the helpful assistance of our experts, who will create a professional landscape design–at no cost–when you purchase your plants at Johnson’s Nursery. Why use natives in your landscape? 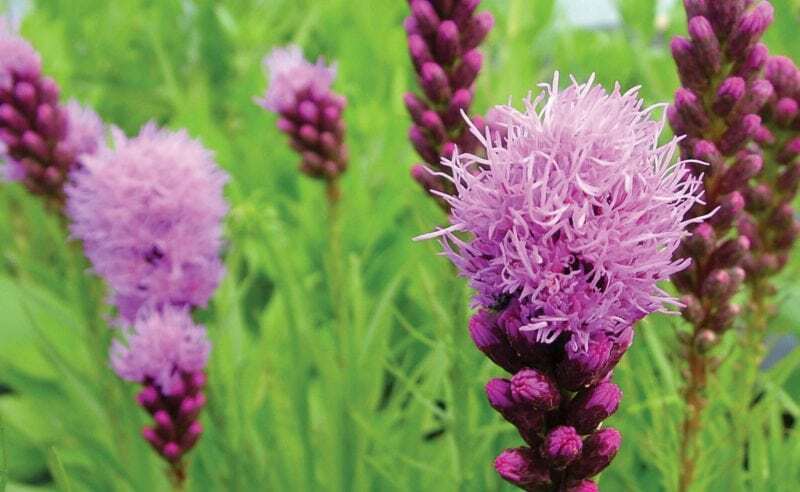 Native plants offer many benefits for the home landscape. Johnson’s Nursery is a leading grower of Wisconsin native plants. Our expert designers can help you choose natives and incorporate them into your home landscape. We’ve produced many articles about native to help guide your way. Headquartered in Menomonee Falls, Wisconsin, Johnson’s Nursery is conveniently located 20 minutes north west of Milwaukee. We’re well positioned to ship bulk orders of plants to our wholesale, municipal, and landscape contractor clients all over the Midwest, including Illinois, Iowa, Minnesota, and beyond. We conveniently accommodate landscape crews all over southeastern Wisconsin. And our plant center is easily accessible for retail customers from Milwaukee west to Madison, and from Green Bay south to Chicago. To truly find the plants that fit your landscape and lifestyle you need to come to our nursery to see, feel, and love them. Purchasing plants over the internet is not like buying a book or a smart phone online. It is impossible to know the quality and value of any plant from a picture. We want to ensure that our customers purchase the right plants the first time and have accurate plant care information provided by experienced Horticulturists. Come visit our 50+ acre nursery and discover the plants that are perfect for you. Why We Don’t Sell Plants Online Or Mail Order: To truly find the plants that fit your landscape and lifestyle you need to come to our nursery to see, feel, and love them. Purchasing plants over the internet is not like buying a book or a smart phone online. It is impossible to know the quality and value of any plant from a picture. We want to ensure that our customers purchase the right plants the first time and have accurate plant care information provided by experienced Horticulturists. Come visit our 50+ acre nursery and discover the plants that are perfect for you. As your trusted experts on Wisconsin hardy and native landscape plants, we appreciate the opportunity to serve and provide you with quality nursery stock. We’re open to the public. Stop by or call us today to discuss your plant matters. We passionately pursue our goal of providing Wisconsin hardy, flowering ornamental and shade trees, shrubs, conifers, evergreens, perennials, grasses, ferns, and more! Essentially we are a wholesale grower that welcomes the general public. Come see why the pros have shopped with Johnson’s Nursery since 1959. Receive our emails and stay connected to your plants and landscape. We send monthly emails with articles, plant profiles, downloadable content, videos, and more. Our emails also have plant center activities, events, and holiday special hours. Get commentary from our experts on how to use your plants. This is the best do-it-yourself program if you’re a homeowner looking to plant your own project. We Plan-You Plant offers the helpful assistance of our experts, who will create a landscape design–at no cost–when you purchase your plants at Johnson’s Nursery. Plants are living things, and they need nourishment whether it be water or protection from the elements. Stock up on mulch, organic compost, fertilizer, animal and deer repellent, and weed control. Johnson’s Nursery offers six styles of high quality bark mulch. Johnson’s Nursery is a leading grower of Wisconsin native plants. We will help you choose natives to incorporate into your landscape. We’ve written many articles about natives to help guide your way. Our highly experienced Horticulture staff pride themselves on providing superior customer service. Fill out the form below with your questions, concerns, and comments and someone will respond quickly.